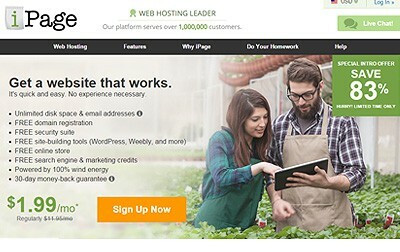 iPage has long been known as the web host that delivers the best value in the industry. On top of offering some of the cheapest plans that you will find, they also offer a tremendous amount of features that give users the ability to easily build a strong website. While the value that iPage provides is unquestioned for users looking to start a business through their website, other users wonder whether or not iPage is good for blogging. From the many user and expert reviews that are currently out there, it seems as if the answer to this question is yes. The fact that iPage offers a WordPress specific plan makes their services a solid choice for starting, running, and growing a blog. They are one of the more experienced web hosts in the industry and had hundreds of thousands of users that have successfully grown blogs through their servers. One of the main reasons that iPage is good for blogging is because of the price. They run promos on a regular basis and many of their plans cost well less than $50/year. Not only are the prices great, but the uptime and reliability is also outstanding. While the company does not provide an uptime guarantee, they have been known for averaging an uptime of about 99.95%. If you have decided that you would like to start your blog on iPage but are wondering what CMS you should use, it seems as if WordPress is the clear favorite. 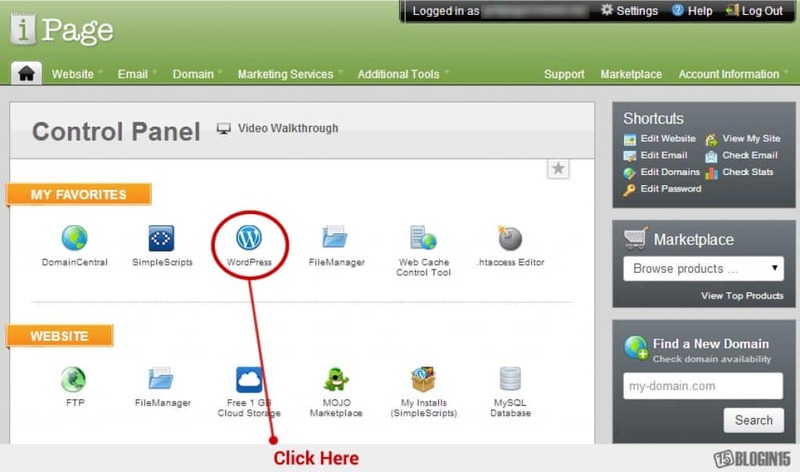 On top of the fact that iPage offers a plan dedicated to WordPress users, there is also much more information and support when it comes to using WordPress over other options. While iPage does support the use of other CMS options like Drupal and Joomla, they do not offer dedicated plans related to any other content management system. Unless you are more familiar with a secondary option, it is recommended that you choose WordPress as your CMS when blogging on iPage.